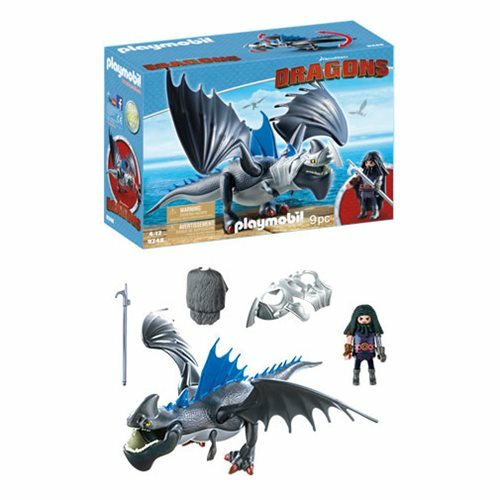 Prepare for an attack with this How to Train Your Dragon Drago and Thunderclaw Playset! Drago, a fierce dragon hunter, uses his dragon-hide cape to fight off dragon fire and trains Thunderclaw to battle other dragons for capture. Thanks to his detachable armor, Thunderclaw is one mighty opponent. This set includes Drago, Thunderclaw with detachable armor, dragon-hide cape, and battle spear. Ages 4 and up.